Aida is a German cruise line owned by the giant Carnival Corp. in Miami. The brand concentrates on the growing German cruise market, with a fleet of twelve ships. The oldest one, the AIDAcara, was built in 1996 and is the smallest of them all, with a gross tonnage of 38,531 tons. Over the past 22 years, Aida has been ordering and receiving more and more cruise liners. Every time a new delivery came in, that ship was bigger than the last. Delivered in 2003, the AIDAaura accommodates 1,300 passengers. 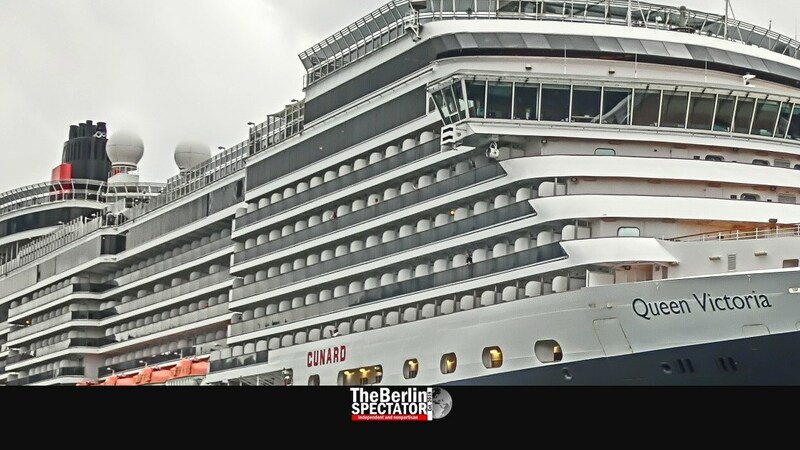 This 42,289 ton ship will embark on another round-the-world cruise in October, from Hamburg to Hamburg, via many exotic places including South Africa, Namibia, Australia, Tasmania, Fiji, Samoa and New Caledonia. That trip will take 117 days. 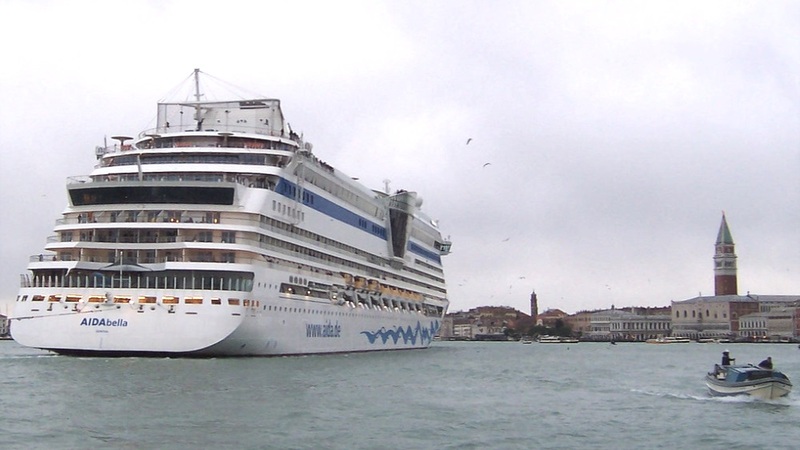 The cruise line’s tenth ship, the AIDAstella, weighs 71,304 and carries up to 2,700 passengers. This ship, and the six vessels delivered before it, were built by Meyer Werft in Germany. AIDAprima, a rather big vessel built in 2016 by Mitsubishi, is almost twice as heavy. With 125,572 tons, she is just as big as sibling AIDAperla, which put to sea a year later. These two ships were built for accommodating 3,300 passengers each. Sure, there is nothing better than standing on deck with a girlfriend, boyfriend or spouse, holding a Gin Tonic and watching the Sun set behind the horizon, in a scene which could have been painted by an impressionist or shot by a gifted film director. It is great to reach a different port every few days, and to return to the ship a few hours later with a gazillion shopping bags. But the coin has a flip-side: Virtually all cruise ships circling the planet on the big oceans need propulsion. And they are huge. That is why they have over-sized Diesel engines, which stink like hell. Those have been jeopardizing the cruise industry’s reputation, since the subject was covered by European TV crews. A German and a French team did some filming during cruises and secretly measured the concentration of soot particles aboard two ships. The outcome was not good at all. Those reporters found out that there are spots on cruise ships at which breathing is not healthy. Of course the sea breeze blows away those Diesel clouds all the time. But when they put in, things get worse. Around 9,000 ships per year, mostly freighters, arrive at the Port of Hamburg every year. The port has 43 kilometers of quay. Last year alone, 136.5 million tons of cargo crossed the quay walls in Hamburg, and thousands of cruise ship passengers boarded their ships. While older Diesel cars with higher emissions are now banned from parts of Hamburg’s city center, cruise ships are not. They enter the port at ‘Landungsbrücken’ or elsewhere close to the center. But one single vessel pollutes the air a million times more than a Diesel car. All in all, shipping is responsible for 25 percent of the total pollutant load in the northern German city. This also means that if ships were cleaner, the police would not have to stop older Diesel cars, in order to stay under the boundary value regarding Diesel particles. Of course, the problem of pollution caused by the enormous Diesel engines built into cruise ships also affects other port cities, such as Barcelona or Venice. The Nature and Biodiversity Conservation Union (‘Naturschutzbund Deutschland e.V.’, or NABU) in Berlin publishes an annual ranking on the environmental burden caused by cruise ships. The organization lists the 75 most popular cruise liners on a regular basis and gives them four green or red tiny screw propellers, depending on how dirty or clean they are. The criteria included are the amount of soot particles, sulfur, nitric oxide and carbon dioxide those ships blow out of their rather large chimneys. Dirty, dirtier, cruise ships. Most cruise ships are dirty. That’s the bad news the latest NABU ranking conveys. At the same time, there is a tiny light at the end of the tunnel. German cruise lines, such as Aida or Hapag-Lloyd Cruises, are still cleaner than others, since some of their ships are equipped with filters designed to limit the emission of hazardous substances to a certain extent. The French cruise line Ponant got a slightly positive ranking as well. All other cruise line giants, including Royal Caribbean Carnival and Cunard, got bad rankings. Since at least cruise lines based in Germany are beginning to understand there will be trouble ahead if they do not do anything to decrease the pollution they are causing, they are moving in the right direction. Really good news is coming from Aida. Within a few weeks, it will take delivery of a new vessel called AIDAnova. It will be the largest ship in Aida’s fleet, with a weight of 180,000 tons. This giant of the seas will accommodate up to 6,600 passengers. The point is that AIDAnova will be running on Liquefied Natural Gas (LPG), which is a lot healthier for the environment. In some countries which are magnets for cruise ships, including Finland, modern technologies will be mandatory soon, meaning Aida is doing itself a big favor by ordering a ship like AIDAnova. On the other hand, the Americans do not seem to want to see what all the fuss is about. The U.S.-based Cruise Lines International Association says the ranking published by NABU was neither scientific, nor was it comprehensible. Even dirty ships could at least decrease the Diesel clouds they are blowing into the atmosphere. For example, they could be connected to the grid while in port instead of using their dirty engines as generators. The problem is that electricity generated ashore is more than three times as expensive. NABU now insists on law changes. The ‘Welt’ daily quotes Malte Siegert, a NABU scientist in Hamburg. “We demand a ban on ships which do not use the existing electricity facilities ashore”, he says. The problem is not just connected to the 400 cruise ships which sail the oceans, but also the 50,000 freighters. At the same time, while in port, cruise ships do more damage because most of them keep their engines running 24 hours a day. On NABU’s ranking lists, even very prominent ships such as Cunard’s ‘Queen Mary 2’ or Royal Caribbean’s ‘Harmony of the Seas’ get bad ratings on a regular basis.